Baltimore-born Beach House bring dream pop and shoegaze aficionados a toothsome treat in their aptly titled and significantly anticipated seventh studio album. Victoria Legrand and Alex Scally make up the Beach House team, yet their musical soundscapes seem at times shockingly opulent for the work of a dynamic duo, especially considering the non-traditional production process of this particular album. 7 is the polished product of Legrand and Scally’s creative catharsis after the release of B-Sides & Rarities in 2017, wherein they flushed the remnants of their 13-year body of work to make room for renovations. 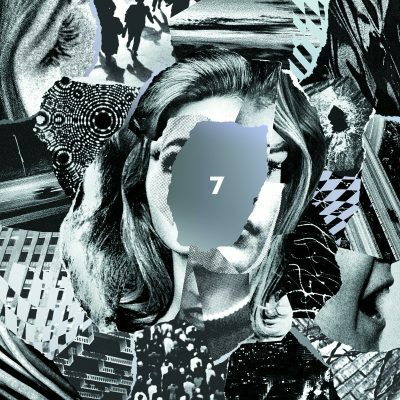 7 seems more authentic to the artists themselves and less constrained by outside collaborations, perhaps the result of significant tenure and a desire to shed the subsequent accumulated calluses and pursuing a mostly self-produced album. Legrand and Scally elected to include their touring drummer James Barone on the whole of the album, with the added minimalist influence of producer Peter Kember, aka Sonic Boom, who supported their mission to keep the songs clean yet organic. 7 begins energetically with “Dark Spring,” a dramatic and brooding track with the astral vocals axiomatic to the Beach House sound that serves as one of the earliest singles alongside “Dive” and “Lemon Glow.” A languid electronic interference overlays many of the tracks on 7 to an appealing effect, as evidenced on “Pay No Mind.” The use of expansive ambience imbues the album, punctuated with ear-snagging synth tricks and sensual, pulsing beats. “Lemon Glow” offers up the psychedelic history of the dream pop genre with upbeat sounds, creepy lyrics and squirming imagery, a fantastic choice for a single and matched with a vexingly hypnotic black-and-white video clip. A personal favorite, “Black Car” stands solidly on bleeping electronic notes and stripped-back programmed drums, making it the type of song to “tune in, turn on and drop-out” to on a rainy afternoon. 7 closes on mellow and perhaps resigned notes with the softened, palliative pitch of “Girl of the Year.” An ethereal Japanese koto-evoking loop opens the cleverly titled closing track, “Last Ride,” which wanders through multiple soundscapes until suspending in the air for an equally clever seven minutes.